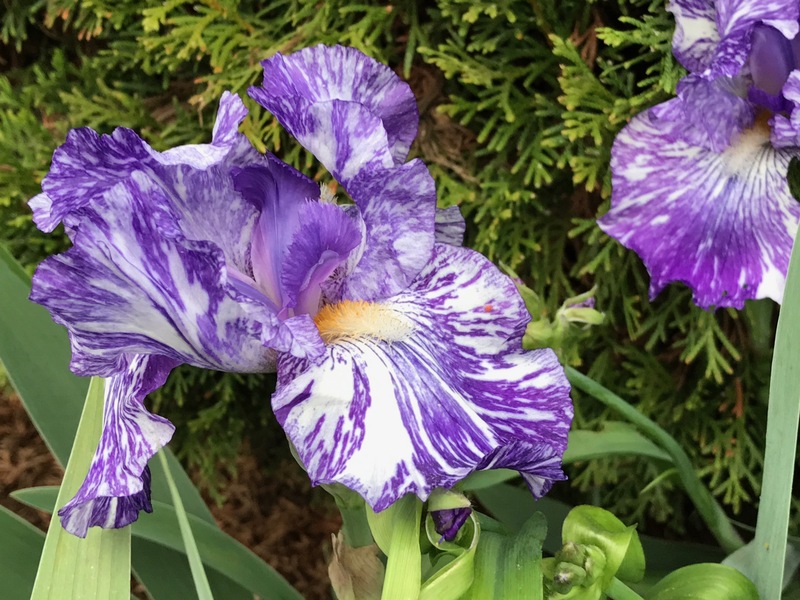 This entry was posted in garden and tagged garden photography, Iris germanica ‘Batik’ (Bearded iris), nature photography, wordless wednesday on April 19, 2017 by pbmgarden. Thank you. I thought I’d lost it last year so it’s doubly nice to see it return. Nice that we are posting the same plant at the moment! This one’s name is very apt. Yes, it is. Batik is one that hasn’t spread much in many years. Thought I’d lost it last year but happily it is back. You always have such stunning irises Susie. Batik is stunning. Thank you so much. When Irises bloom my little garden is at its best. The iris are just starting to open here, that one is a stunner. Don’t you just love irises? Batik is difficult to photograph because it has such a busy pattern. What a gorgeous thing! 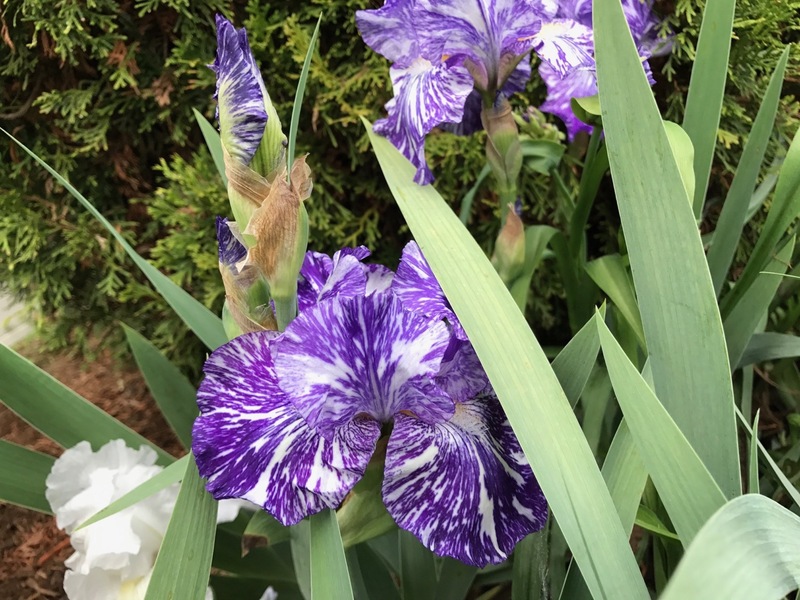 Between you and Christina, I’m experiencing serious Iris envy as, despite our plentiful winter rain, most of my bearded Iris show little promise of bloom. Thought irises would do well where you live. Hope yours will surprise you with a few blooms. Judy, glad you enjoyed a smile from the batik iris. I feared I’d lost it last year, so made me smile to see it back. Stunning – but really quite crazy at the same time! What a flower. How gorgeous are these? Do you call them flags? I love irises. Amazing, right? I think flags are a particular type of iris, a wetland wild iris. Batik is so unusual. It looks as though it has been dipped in purple paint that is floating on water. Yes, would make a nice marbled paper. Beautiful and unusual too! I love irises and have planted some more in our garden. Can never have too many irises. Hope you’ll share them on your blog.